BATON ROUGE, La. 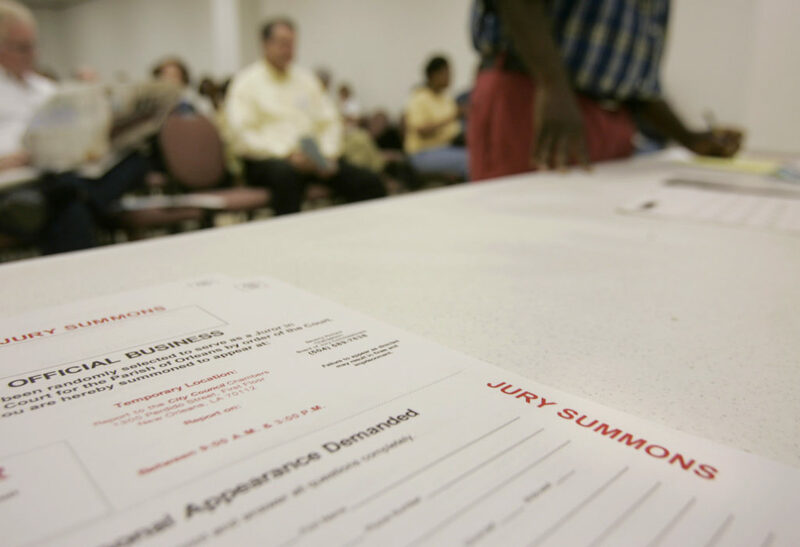 — Louisiana is one of only two states in the country allowing a non-unanimous jury to convict a defendant of a felony, and a Louisiana lawmaker says it is time for the Jim Crow-era practice to end. Sen. J.P. Morrell says the unusual rule is a remnant of the Jim Crow era, stemming from a constitutional convention in 1898 and longstanding efforts to maintain white supremacy after the Civil War. And he wants a change. The New Orleans Democrat has proposed a constitutional amendment to require all 12 jurors in felony cases to agree on a verdict. The measure is gaining steam in the state Capitol. Serious felony trials in Louisiana, including some murder cases, can be resolved when 10 out of 12 jurors agree on a person’s guilt. Even Oregon, the only other state to allow split verdicts in felony cases, requires a unanimous verdict in murder cases. Morrell says the non-unanimous jury policy was instituted in order to minimize the voice of African-American jurors. Angela Allen-Bell of the Southern University Law Center in Baton Rouge says the current system results in “fast-tracking” people into prison. 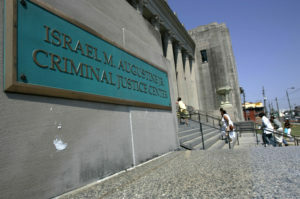 Louisiana has the highest incarceration rate in the county. “We are not making careful decisions of who is guilty,” she said. It is difficult to gauge how many people have been imprisoned in Louisiana on split decisions, as not all prosecutors in the state maintain information on how juries vote. Some divided jury verdicts have been detailed in the press, such as the 10-2 conviction of a man who fatally shot retired New Orleans Saints star Will Smith and wounded the football star’s wife. The Advocate newspaper’s analysis of felony trials over six years showed that 40 percent of 993 convictions came from split juries. The lack of comprehensive studies on split jury convictions was cited by Sen. Francis Thompson, a Democrat, before he voted against the measure. Sen. Mack “Bodi” White, a Republican who voted against the bill in committee and in the Senate, said that requiring unanimous juries may lead to more hung juries and costly retrials. Judges often force jurors to continue deliberations for days, making them hash the issues out until holdouts fall in line or a deadlock ends the case with a hung jury. “I know it’s different in a jury trial but it’s hard to get 12 out of 12 people in these times to just about agree on anything,” White said. Pete Adams, executive director of the Louisiana District Attorneys Association, said the group has taken a neutral stance on the bill. But a former Grant Parish district attorney is fighting for a change. “This is an advantage for the prosecution, no question about it. It’s unjust and unfair without any question, and it flies in the face of American legal tradition,” said Ed Tarpley, who authored a resolution approved by the state bar association that opposes split jury decisions in criminal cases. Morrell’s measure passed the Senate by a single vote over the two-thirds margin needed to advance constitutional amendments through the Legislature. It now moves to the House of Representatives, the more conservative of the two chambers, for what Morrell expects to be a challenge. If it passes the House, it will go to a public vote in the fall.